Oxford Lancers make it three wins in a row! 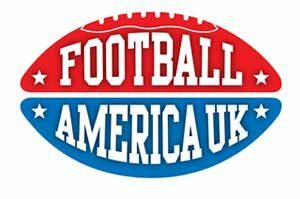 The city of Oxford hosts three American Football clubs. Alongside the Saints who compete in the national league, there are also two university teams who compete in a separate league taking on rival student teams. 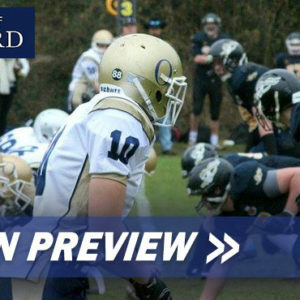 The University of Oxford Lancers were founded a few years ago and have had a struggling start to their career, going through their first two seasons without a victory. On Sunday 15th February 2015, the Lancers made it to three wins in a row by defeating the East Conference favourites, the University of East Anglia Pirates in a 7-6 nail biter finish. Since the beginning of the new year, the Lancers have been led by new Head Coach Andy McKenzie, who was previously the Lancers Defensive Coordinator. Coach McKenzie has taken the reins of both the defense and the offense and under his guidance, the team have a new found hunger, especially on offense. 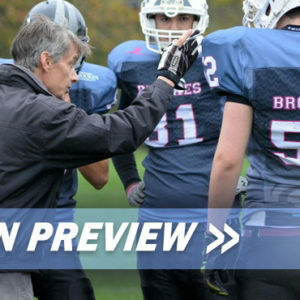 Back on February 2nd 2015, the Lancers faced their cross town rivals the Oxford Brookes Panthers in the Cavalier Cup and won 13-6, their second only win in team history. The game was a huge statement, but the Lancers wanted to build on this and play well against the Pirates to make sure that the Cavalier Cup was no fluke. The Pirates were on 4-0 record before Christmas and were predicted to win out the league, until they suffered a 16-0 defeat against Cambridge. At this point the Pirates knew that if they lost their upcoming game against the Lancers, their chances of playoff football would be at risk. Double Coverage (the main news outlet which covers all levels of American Football in the UK) predicted a win for the Pirates. The Pirates had a long journey down to Oxford yet they came with a packed double-decker coach. They brought more supporters to watch than the Lancers had players on their whole team (just 19 kitted players, one of whom had never played in a game before). Under perfect weather conditions, the 19 Lancers observed as the Pirates kitted up 41 players. The large amount of supporters who travelled with the Pirates made the ground feel like it was a home game for them instead of Oxford. The Lancers were missing several key players through injuries and other reasons but are often playing with low numbers. The Lancers kicked off and the Pirates began their first drive from their own 20. The Lancers knew that the Pirates are a strong team up front, who run the ball very well, are very physical and very organised. Though two back to back huge tackles both for a loss from Oxford’s defensive end Priest, saw the visitors in a third and long situation straight away. This is exactly how the Lancers wanted to start the game…They were not going to get bullied. A five yard pass was not enough and the Pirates punted. Both teams struggled to make any significant gains and excellent kicking by Oxford’s rookie punter Alex Dale meant that the Pirates kept getting possession of the ball deep in their own territory. The Lancers kept starting with much better field position but they themselves could not capitalise. On the Pirate’s second play of their third drive, Oxford linebacker Benedict Shillito made a five yard sack as the first quarter came of the match came to a close. Despite this sack, the Pirate’s strung together four plays for 31 yards and two first downs and were deep in Lancer territory nearing the 30 yard line. A mighty tackle in the backfield from Priest, coupled with a batted down down pass by Lancers free safety Adam Wong, forced the Pirates to punt. Although the Pirates did not score, this ten play drive changed the crucial field position battle in their favour. The Lancers then punted out of their own red zone after another 3 and out, giving the Pirates the ball on the Lancers 45, but despite good field position had to punt too after three short runs. The Lancers found themselves backed up into their own red zone and needed some yards desperately. Lancer quarterback Will Szymanski hit receiver Adam Wong twice (12 yards and 15 yards) for two crucial first downs. Although this drive lead to a punt, the 27 yard drive gave Oxford renewed confidence. Alex Dale’s booming high punt swayed in the air, and the Pirate punt returner oddly jumped up to make the catch. It bobbled out of his hands and Oxford’s Priest was there with his gleaming red helmet smothering the ball. With a good drive behind them, the Lancers were confident going to the air, as they set up just outside of the Pirate’s red zone. Yet two incomplete passes meant a dicey situation for the home team. Getting some yards might put them in field goal range, especially as there was no wind. However on third and long, Oxford quarterback Szymanski rolled to his right and fired a perfect pass to his new favourite target Adam Wong, who was then pushed out at the 6 yard line. Hawaiian import, Scott Tan (the game’s eventual MVP) lined up in the back field, and after some good blocking from the offensive-line, managed to punch his through dragging two Pirate defenders into the endzone for the touch down. Szymanski kicked the PAT and the score was 7-0 as the first half ended. Oxford began the the 2nd half with the ball, but a crucial interception from the Pirates gave them possession on the Lancers 35 yard line. On a fourth down pass attempt, Oxford’s coverage was blown and the Pirates quarterback found a open receiver. Rookie corner Alex Dale made a touch down saving tackle at the four yard line. Pirates running back made a cut outside on 3rd and goal and crossed the goal line bringing the score to 7-6. A two point conversion attempt failed with Oxford’s defense standing strong. Both teams became more confident in attempting passes and the Pirates achieved a much needed first down with a completed 20 yard reception after facing 3rd down with 17 yards to go. However at 4th and 3 they decided to go back to their run game and were stuffed at the line of scrimmage by the Lancers. A long drive by Oxford was needed to run the clock down and create some breathing room. The Lancers went to the air but once again were picked intercepted by the Pirates who returned the ball all the way to the 10 yard line before Scott Tan made a crucial tackle. As the 3rd quarter came to a close the Oxford defense were struggling to keep the Pirates out of the end zone who had managed to reach the 1 yard line. The Lancers stopped the opposing running back at the line on 2nd down and then a Pirates false start took them back to 3rd and goal from the 6 yard line. An outside run attempt was thwarted by defensive end Ilia Onishenko with an out-stretched tackle to bring up 4th and 6. The Pirates called up their kicker who looked very solid. The ball was snapped cleanly and the kick was looking good but it was difficult to see whether it had gone through the uprights. The referees signalled the kick was wide and the Lancers held on to their 7-6 lead. The Lancers were running the clock down but were forced to punt again. A Pirate defender struck punter Alex Dale after the kick for a 5 yard penalty. Szymanski at quarterback ran to the outside for 7 yards before striking to American import, Ahmad Nasir on a perfect slant route. Back to back first downs was still not enough and the Lancers punted to give the visitors one more chance. The Pirates with three time-outs and just under 2 minutes to play started powerfully with a 25 yard run. On the next play, Priest was in the back field and blocked the pass. The Pirates went back to the ground before attempting to take advantage of another blown Lancer coverage, but this time the Pirate’s receiver dropped the pass at the ten yard line. The Pirates had made their way to Oxford’s 22 yard line which would be long field goal attempt. It was 4th down and 7 and Lancer Head Coach Andy McKenzie changed up the personnel in the secondary expecting a pass. The Pirates went for the pass which was well covered by rookie corner Peter Graham. The ball hit the ground and the small Lancer sideline celebrated. The Lancers knelt out the game for a thrilling victory taking both them and the Pirates to a 4-2 record. Head Coach Andy McKenzie said in his post game speech that he is continually stunned at how much heart this team has. Next week the Lancers travel to Essex looking to secure a 5-2 record and potentially finish second in the league while the Panthers travel to the Pirates. It was a good day all round for Oxford football as the cross town Panthers went to Canterbury and notched up their highest ever points with a 44-0 win. 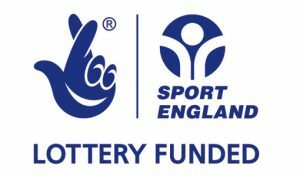 In other scores, Cambridge beat Essex in double over time, making the league a two horse race between Cambridge and Kent, who play against each other next week for the title. Now the Lancers and the Panthers are both at 4-2, yet because of the head to head, the Lancers are above them in the league…for the very first time ever. Thank you for sharing photos and articles on Lancer football. From Scott Tan’s family in Hawaii.